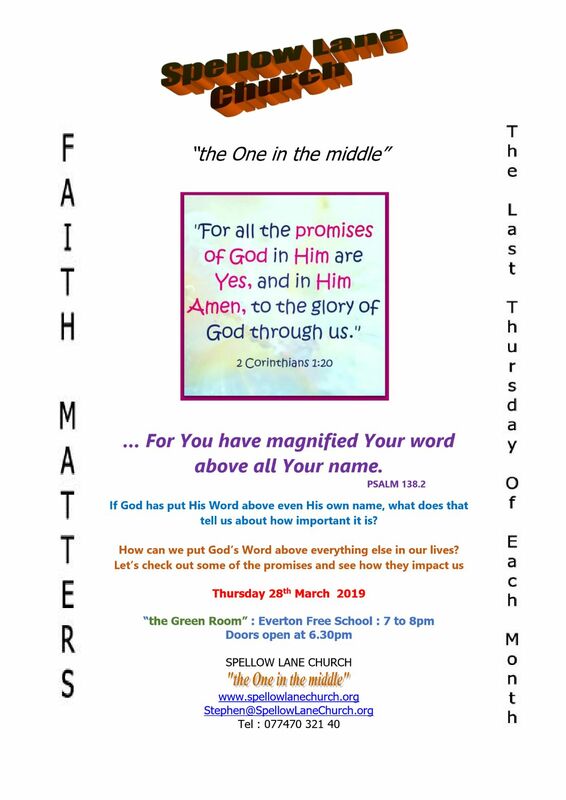 Once again during 2019, we will be exploring some of the issues of Life, and why within those issues, "our Faith matters". Everything will be very informal, and everyone is welcome. February 2019 - "God's first name is Andy"
How can we put God’s Word above everything else in our lives? May2017 - Jesus : alive or dead ? October2017 - Angels : what are they all about ? January 2018 - James - Faith - "Dead or Alive ?" February 2018 - "What causes our quarrels ?" March 2018 - "What is the Christian Dress Code ?" April 2018 - "Why doesn't God answer my prayers?" May 2018 - ""Why I Love Church", or maybe you dont""
June 2018 - "Without a vision, the people perish"
July 2018 - "Crossing obstacles"
August 2018 - "Time alone with God, why is it important ?" September 2018 : "Who do you think they are ?" A conversation about how we judge by appearance. October 2018 : "Who do you think you are ?" November 2018 : the last of this year.